ELEVATED rail along the Frankston line is shaping up as a political minefield for the Labor state government early in its first term in power. Community groups are marshalling opposition to any suggestion so-called sky rail could be built along the Frankston line, as part of the Andrews government’s commitment to removing level crossings, in the wake of the decision to install elevated rail along sections of the Cranbourne-Pakenham railway line. More than 150 people packed into a meeting at Edithvale Life Saving Club on Sunday (28 February) organised by the ‘No Sky Rail: Frankston Line’ group to voice community concerns about the prospect of elevated rail in bayside suburbs. Residents who live near the rail line are angered that a nine-metre high elevated rail line from Mordialloc to Frankston could be on the cards since this was never mentioned before the 2014 state election. No Sky Rail: Frankston Line group spokesman Willem Popp said the group is troubled by the state government’s sudden announcement of elevated rail for sections of the Cranbourne-Pakenham line and fears that the Frankston line is next for sky rail. 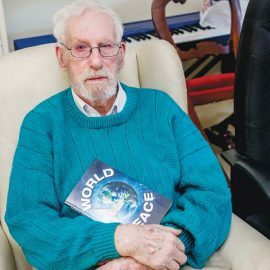 “I don’t think it’ll be as attractive and beautiful as the brochures and publicity,” Mr Popp said. First term Labor MPs in the marginal seats of Mordialloc, Carrum and Frankston are feeling political heat in the wake of community protests elsewhere over a lack of consultation after the government announced sky rail on the Cranbourne-Pakenham line earlier this month. Mordialloc MP Tim Richardson is understood to have told Premier Daniel Andrews in a Labor Party caucus meeting that sky rail could cost Labor the seat of Mordialloc at the next state election. When contacted by The News Mr Richardson said he won’t comment on private discussions within caucus but he was comfortable making residents’ views known on elevated rail. “I will always represent the interests of my community and I want everyone to have the opportunity to be involved in shaping the level crossings removals to significantly ease congestion in our local area,” Mr Richardson said. Carrum MP Sonya Kilkenny and Frankston MP Paul Edbrooke did not respond to questions about the consultation process. Another community group, the Carrum and Patterson Lakes Forum group, will hand over a petition against sky rail to Ms Kilkenny this month. The online petition at change.org has more than 450 signatures to date. Group spokesman Cameron Howe said the community group speaks to councillors and politicians about local issues as they arise and sky rail has become a concern. “From what I can tell the Level Crossing Removal Authority’s process hasn’t been too transparent so far,” Mr Howe said. “There is great concern within the community that the authority perhaps doesn’t have the most suitable process. Liberal opposition leader Matthew Guy has seized the opportunity to raise the pressure on Labor over the possibility of elevated rail along the Frankston line, visiting Edithvale train station last month to say sky rail “would be devastating” for the bayside suburbs, amid concerns about increased noise from elevated trains and the amenity of suburbs, especially for residents near the rail line (‘Sky rail ‘must be dropped’’, The News 24/2/16). Kingston councillors debated whether to oppose elevated rail at the year’s first public council meeting last month but opted to write to Premier Daniel Andrews and Transport Minister Jacinta Allan to ask that community feedback be taken into consideration. Mayor Cr Tamsin Bearsley attended the No Sky Rail: Frankston Line meeting on Sunday at Edithvale and said council will lobby the state government to ensure proper consultation is carried out. The Level Crossing Removal Authority is hosting a series of interactive community sessions in March about plans to separate road from rail at eleven level crossings along the Frankston line. 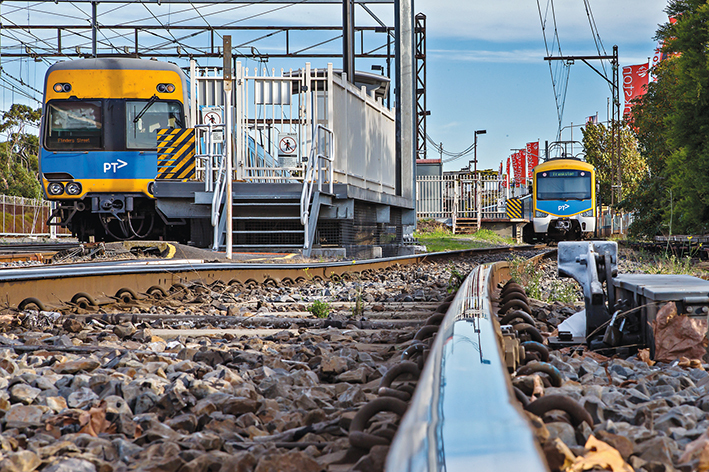 See levelcrossings.vic.gov.au/crossings/frankston-line or call 1800 762 667 for details. I would like to see all level crossing removed to improve road and rail usage made easier and safer. What do the engineers say about this? Let the experts look at it and report back with the best option. There are many residents living along the Frankston line that want safer communities. To those opposing progress; think of the better picture. There seems to be an active group of NIMB’s [ Not In My Backyard] ..stop and think about the broader community Is the ‘Sy Train’ has to be built then a safer and better community will be built!